Stu Graham, president of Bobcat of Connecticut (L) and Gary Bell, HCMA compact business manager. Hitachi Construction Machinery Loaders America Inc. (HCMA) has announced Bobcat of Connecticut Inc. as a new compact wheel loader dealer. Based in Hartford, Conn., Bobcat of Connecticut will be serving the Connecticut, Rhode Island and Massachusetts region with the full lineup of Hitachi compact wheel loaders in addition to offering parts and full maintenance packages. Bobcat of Connecticut Inc. has five full service branches: East Hartford, Conn.; Stratford Conn.; west Springfield, Mass. ; Warwick, R.I.; and Auburn, Mass. Bobcat of Connecticut opened its doors with five employees in Hartford, Conn., in 1990 and expanded rapidly through the region. Customers in these areas will now be able to rent and purchase Hitachi compact wheel loaders ranging from .65 cu. yds. to 2.0 cu. yds. Bobcat of Connecticut also represents Bobcat skid steers, track loaders, excavators, utility vehicles, tractors and versahandlers, Protech snow pushers and Towmaster trailers, to name of few of the many lines of equipment and attachments. "The Bobcat of Connecticut enterprise, making up five locations over three states, is the leader in compact equipment within its markets," said Stu Graham, president Bobcat of Connecticut. "We understand that providing quality customer service allows us to grow with our customers. Hitachi compact loaders gives us the ability to offer our customer base yet another quality equipment solution. Hitachi is a world leader in the equipment industry, we couldn't be more excited to represent the Hitachi brand and contribute to establishing Hitachi compact equipment throughout the market place." 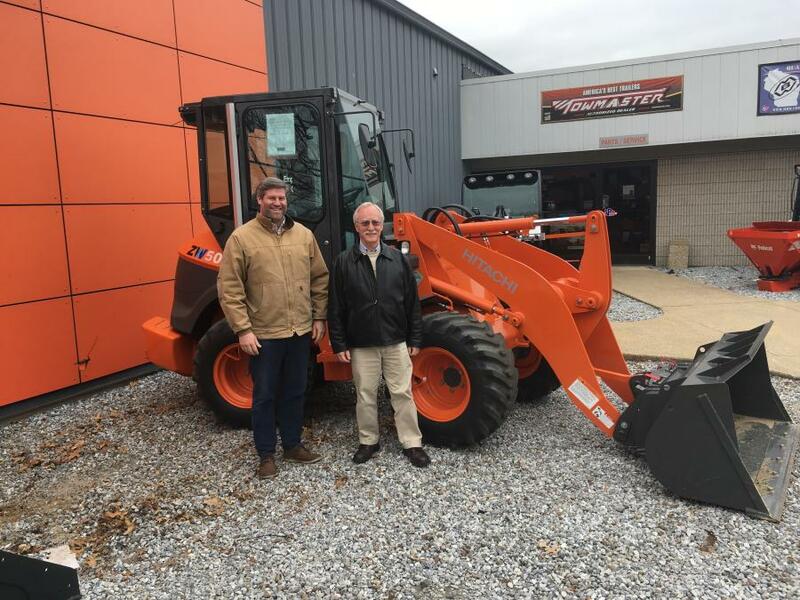 "We are pleased and excited to have Bobcat of Connecticut representing the Hitachi compact loader line," said Gary Bell, compact business manager, HCMA. "This dealer has great credibility in this compact market. They know these customers and the customers know them." The commitment of Hitachi Construction Machinery Loaders America Inc. to the North American market is significant. Parts availability, a factory component exchange program, customer and dealer training programs, and a wide range of services and programs, provide outstanding support for the Hitachi line of wheel loaders, according to the manufacturer. The HCMA team is focused on wheel loaders, and only wheel loaders. For additional information, visit news.hitachiwheelloaders.us.